"Today" newspaper of Singapore has the story about Amos Yee, the young Singaporean man claiming asylum in a US Chicago Court after he was jailed for insulting religion in his country. Please see http://www.todayonline.com/singapore/us-judge-rule-amos-yees-asylum-case-month, article titled "US Judge to rule on Amos Yee's case this month". The article states the judge will rule on his asylum claim this month. 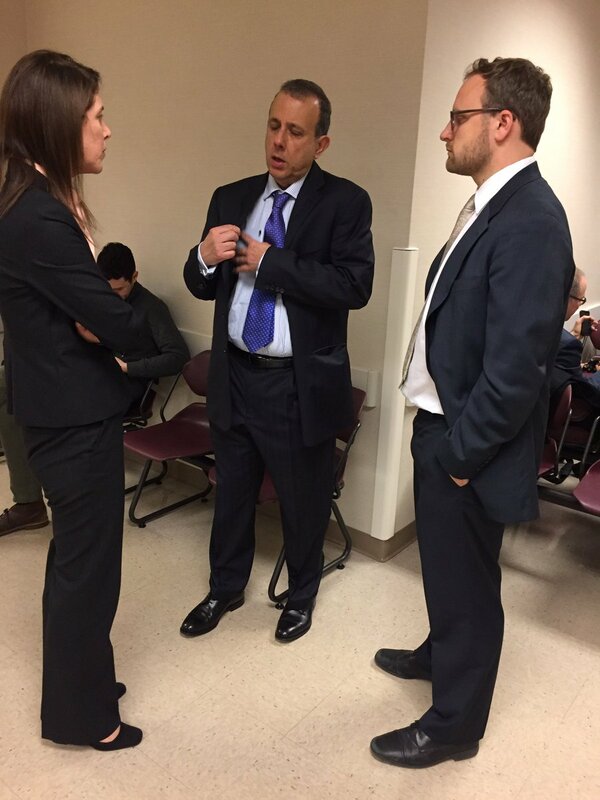 This is a picture of Singapore's Kenneth Jeyaretnam, son of JB Jeyaretnam who has testified at the Chicago hearing. The article also states Kenneth Jeyaretnam has travelled to Chicago from Singapore island to testify in favor of Amos Yee's bid for asylum today March 7, 2017. I think Miss Grossman, attorney for Amos Yee made a great error in calling Jeyaretnam to testify. Generally people who claim asylum in the US are from third world countries which do not respect any law. It would be obvious to anyone that no one from a country such as Somalia would dare to travel from Somalia to give evidence in a US court against his own country and after that return to, of all places in the world, to his own country which he has only just condemned, and expect to be left alone, let alone survive! I think the judge would find it very strange indeed for Kenneth Jeyaretnam the so-called leader of an opposition party, the Reform Party in Singapore, for not only being able to live and be left alone in his country even though he is a bitter critic of it. And what is even more surprising, he openly dares to come to the United States to condemn his own country after which he dares to return to his country, which he has just condemned in the US! The judge would no doubt note this strange situation here. Would he not say to himself, if indeed Singapore is as bad as he portrays, being an open critic of his country, why has he not been skinned alive up till now? And if Singapore is as bad as he claims, why does he not fear returning to his country, which he has just condemned in the most severe terms, and still believe that he will not be skinned alive? As they would perhaps have done in Somalia? I am sure Kennth jeyaretnam was in the witness box telling the judge that Singapore has no free speech, expression or assembly and therefore Amos Yee who has just insulted both Christianity and Islam in the most disgusting manner should be allowed to live in the USA because Singapore is a bad place. Surely the judge would be wondering, if Singapore is so bad, why is Jeyaretnam still one piece, and confident enough to fly across the world to Chicago USA to condemn Singapore and then feeling very safe to return to his country to continue living a comfortable life which he leads, unmolested! Does he not expect to be behind bars if he returns? And if not, why is it a country that denies human rights? Surely this behavior on the part of Kenneth Jeyaretnam shows not a Singapore that disrespects free speech and expression but quite the contrary; a country that does! This is the sort of behavior that one would expect from a citizen of France or England, not that of someone from a country that denies human rights as he claims. I was not in court and I don't know whether the judge asked him these questions, which would have been glaringly obvious, but if I was the judge, I would have asked Kenneth Jeyaretnam that if in fact Singapore was as bad as he claims, why then has he not been arrested so far and why does he dare to go back to Singapore where he lives if in fact it is as bad as he claims? Should Jeyaretnam too not be asking for asylum if it is a as bad as that? Because if Jeyaretnam had come from Somalia or Sudan and testified against his country in the US, he would never dare return there ever in his life because he will either be arrested or killed, that is what they do in such countries. If Singapore, the repressive island that he claims, is not only going to allow Jeyaretnam to return to Singapore in one piece and what is more, allow him to live in peace to continue criticizing it, that by itself goes a long way to show that Singapore has not abused Yee's human rights and neither has it abused Jeyaretnam's human rights either. Calling Jeyaretnam to testify against the Singapore government does not help Amos Yee but instead goes very far in favor of the US government's argument that Amos Yee should not be granted asylum, because the testimony of Jeyaretnam proves Singapore is not a repressive island without laws because if it was, Jeyaretnam would not be in the US bravely testifying against Singapore and after that have the courage to return to it and live in peace. What Grossman, Yee's attorney should have done is to not call any witnesses but rely solely on documents, or find a former Singaporean who lives in the US and is unable to return to his country for fear of persecution. Perhaps even calling Tan Wah Piow who is now in exile in England would have been a good idea because he cannot return and his was indeed a case where he was persecuted. Calling someone like Jeyaretnam who lives a comfortable life in Singapore to come to the US and condemn his country, and then return to it without any fear, is not a credible candidate. The very fact that Jeyaretnam has been left alone so far in Singapore despite all his criticism against Singapore and be left alone even after he has condemned his country abroad, does not show a case of persecution but instead a country that allows critics to remain in Singapore without any problems. Singapore has handled Amos Yee very well. He has never been charged for anything he said against the rulers or the government of Singapore. What he has been charged for and sent to a short stint in jail was because he insulted Christianity and Islam in a crowded multi racial island. The question in this case is very simple. Does Singapore government in such special circumstances have the right to enact such a law to avoid racial violence. I think such as a law in Singapore's circumstances was justified and there is no persecution. Also the fact that Jeyaretnam who is a staunch critic in Singapore has never ben charged so far for anything, he is allowed to come to the US to testify against his country and yet be able to return to it without any problems goes a long way to show that Singapore does not abuse the rights of his citizens. The testimony of Kenneth Jeyaretnam will hurt Amos Yee's case. Not help him. All that I have written so far is only in relation to Amos Yee's trial proceedings and strategy. These are not my personal views about Singapore. gopalan , have u changed sides? have u been bought over? Not at all. I have not changed my views on Singapore which I consider a Fascist Dictatorship. I was commenting on Yee's asylum application. I cannot see that Yee was persecuted. He was sent to jail for insulting Islam and Christianity, a law which is both just fair and equally applied to all. It is ludicrous to imagine that Yee should be given asylum in the US because he wants to continue uttering profanities and obscenities against Christianity and Islam and to avoid national service and to spread communism and anarchy in the US. he is a clown. I got asylum in the United States not because I wanted to insult Islam and Christianity.